Small business marketers have more ways to capture and analyze data than ever before. Even with a small business budget, we can capture lead data with free tools and affordable SaaS solutions geared toward SMBs. We are constantly measuring and being measured. So the more data points, the better, right? It’s like buying a new car. As soon as you drive it off the lot, it begins to depreciate. As soon as you capture a contact’s information, they’ve changed their identity or changed their minds. A top decision-maker may have just broken up with her company. A self-declared lager-lover may have just cracked open a life-changing IPA. Preferences and statuses change, and marketers can’t wait around for a data cleanse to keep up. When we talk about data, segmentation, and targeting at Hatchbuck, it’s all really about one overarching goal: Uncover your prospects’ needs so that you can educate and add value. The issue is that needs evolve, and you can’t effectively segment with stale data. With Hatchbuck, and other marketing automation software, you can use forms to capture highly relevant data about your contacts. But it’s easy to fall down a rabbit hole of text fields and drop downs that end up capturing a lot of data that doesn’t really make you a more effective marketer. That’s why dynamic segmentation – not data collection- is the better way to tap into data to identify the biggest pain points of your prospects. More data is good, but when you consider that data decays at an estimated rate of 35% per year, that’s just more data to scrub down the road. Even the most basic of fields, like name and email address, can change and need to be updated. So instead of manually appending new data, let your leads do the work for you. With the right sales and marketing software, marketers only need to ask for the most basic information on landing page forms, and drop a cookie to gather more information down the road. Asking for less from your leads can help decrease form drop-off because visitors to your site won’t feel like they’re giving away the rights to their first born just to download a resource. In addition, the less fields there are for contacts to enter false or bad data, the less data you’ll have to clean up later. For instance, don’t ask leads if they’re interested in Life, Home or Auto insurance. Tag their interests by the links they click in your email, or the pages they visit on your site. Segment accordingly. 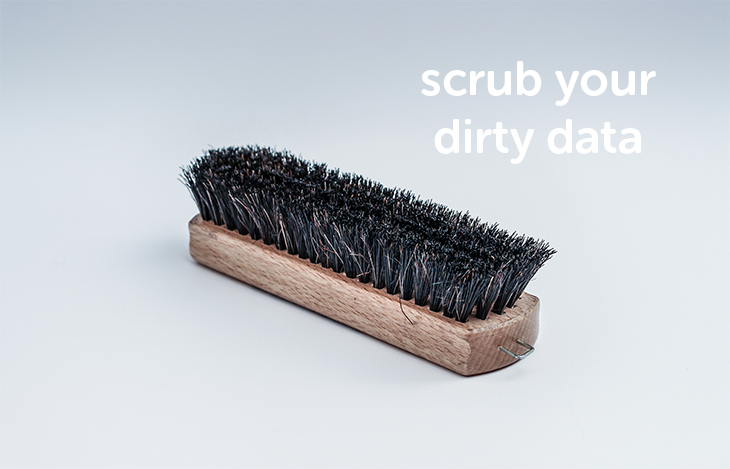 It’s easy to feel like you’re fighting a losing battle with dirty data. It’s time to work smarter (not harder) to gather insights from your data. Dynamic segmentation provides a more accurate, real time picture of what your leads are up to, and what their hot-button issues are. Simple sales and marketing tools can help your customers be your guide to their needs. In turn, you can guide them down the path to conversion.